Talking About Merry Debtmas. Don’t feel like listening? Check out the audio transcript below. Rick: [00:00:08] This afternoon Merry Debtmas! 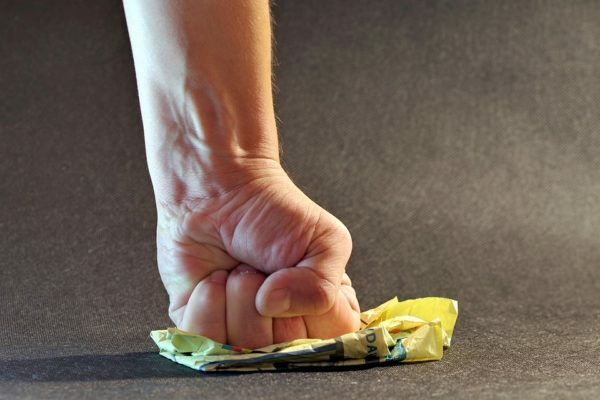 Now that Christmas has come and gone, time to face the music- time to pay the bills. 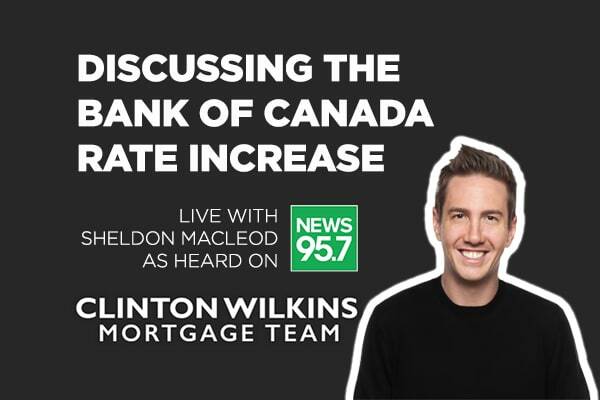 Christmas Debt is the focus of our chat here this afternoon with senior mortgage adviser Clinton Wilkins. Good afternoon Clinton. Clinton: [00:00:22] Thanks for having me Rick. Rick: [00:00:23] Well, thank you for joining us here today. Clinton: [00:00:25] Happy New Year. Rick: [00:00:26] Yes, indeed happy New Year. Even though we’re at what January now 24th? Clinton: [00:00:28] 24th, but it still feels like the new year. And I think probably some people are just getting their mail from the holiday season. Clinton: [00:00:37] Those things happen sometimes. Rick: [00:00:39] They do. I’ve been there done that and know all about that. Clinton: [00:00:42] We’ve all been these situations, and I think you know January is a great time to look at your finances. And you know we coined the term Merry Debtmas because you know you’re going to open up your credit card bills, and your line of credit, and really look at your bank account after the holidays. You know mid-January, late January is really when sometimes you know you have to pay the piper, so to say. Rick: [00:01:02] And those credit cards, you know, carry a big interest rate. And if you don’t you know pay them all off, then you’re getting deeper and deeper and deeper into the hole. Clinton: [00:01:12] 100 percent. And you know credit cards are not meant to carry a balance; they’re really meant to be used and then paid. And sometimes people you know get themselves into trouble it’s a slippery slope sometimes. You know I’ve seen clients that have credit cards that have 10, 20, 30 thousand-dollar limits. It’s very hard to pay that down at a 20 percent interest rate. Rick: [00:01:31] Yeah. So, what is the answer then- is consolidating credit card is that part of the answer? Clinton: [00:01:36] I think you know consolidating is great. I think you know if you can get it into an instalment loan or a line of credit, that’s wonderful. That’s not the solution for everyone. You know some people leveraging the equity that they have in their home, I think sometimes can be really great solution. The cheapest debt that borrowers really have, is their mortgage debt. And if they have the equity available in their homes sometimes that can really make great sense whether it’s a home equity line of credit or maybe reworking their existing mortgage charge. You know sometimes we even see clients that have their houses free and clear, but they’re riddled with unsecured debt. Sometimes a line of credit on their home or a small mortgage that can really make a lot of sense. You know borrowers are allowed to access up to 80 percent of the value of their home. Clinton: [00:02:18] So, you know if they if they have a house that’s worth 300,000 you can do a mortgage up to 240,000. Rick: [00:02:24] What about these reverse mortgages you see on television? Clinton: [00:02:26] Yeah! Like that’s a great solution for someone who’s retired. Typically, they’re for people that you know obviously are older, and if they have their house that’s free and clear it’s a great way for them to access the equity. You know the older the person is, the more they’re able to access. Typically, with a reverse mortgage like a CHIP mortgage. The borrowers can stay in their home for as long as they want and not make any mortgage payments. So that can be a solution for seniors and for people that have you know lots of equity in their home or maybe own their home free and clear. Rick: [00:03:00] I like this advice. You can determine your total debt by looking at the bills then write down how much you owe. I keep a budget myself personally so that- now it doesn’t always work mind you, but it helps me! Is it time to budget? Clinton: [00:03:11] Sometimes writing it down or just even opening your bills is so empowering. You know I hear people every day to be like, “Oh yeah I don’t open any of my mail; I never go to my mailbox.” Well sometimes I think it’s a good time to do it. And I think January is a great time to look in the mirror, and it’s a great time to open those bills, and it’s a great time to think about your finances. The biggest pieces of your finances really is your mortgage and your home and we’re really here to help you. Rick: [00:03:35] Write down that Debtmas doesn’t have to be scary. Clinton: [00:03:37] It doesn’t have to be scary. Rick: [00:03:38] What’s your advice there? Clinton: [00:03:38] I think you know the first step is seek the advice of an unbiased mortgage professional. You know you can certainly check us out at “teamclinton.ca/radio”. You know we’d love to help. And I think doing some homework and opening your mail is the first place to start. Clinton: [00:03:56] Time to face the music guys! It’s 2019. Rick: [00:04:00] Yeah. Now you’re going to be on with Todd on this weekend- Saturday or Sunday? Clinton: [00:04:04] Yeah. Going to be on Saturday at 10:00 a.m.. So, we’re actually going to open up the phone lines here at News ninety-five seven and borrowers can phone in and ask us your questions. We’re going to talk a little bit more about Merry Debtmas and refinancing. So if you have you any specific questions feel free to give us a call here on Saturday and Todd and I would love to take your calls. Rick: [00:04:20] Yeah and again if you want to consolidate your loans you don’t want to be going to you know all the household financials kind with the high interest rates. Clinton: [00:04:28] No. And sometimes that’s not cheaper than having that credit card debt on your own. Sometimes I think just getting that unbiased advice that we can certainly point you in the right direction. Rick: [00:04:35] Now you’re going to be with us over the course of the next weeks and months ahead, and lots of topics we’ll talk about. Give us just a couple of examples of what’s ahead here. Clinton: [00:04:43] Yeah we’re going to talk about you know loving your home, we’re going to talk about renovations, we’re going to talk about getting pre-approved, and we’re going to talk about you know really a lot of things that I have to do around mortgage lending. Sometimes it’s the most daunting things in people’s lives. Clinton: [00:04:57] And you know some people have had really great experiences, some people haven’t. Some people have you know had really great low rates for a long pretty time, and now they’re a little bit higher. So, we’re going to talk about you know what solutions, tips, and tricks we can really get into, and help borrowers here in HRM. Rick: [00:05:14] All right. 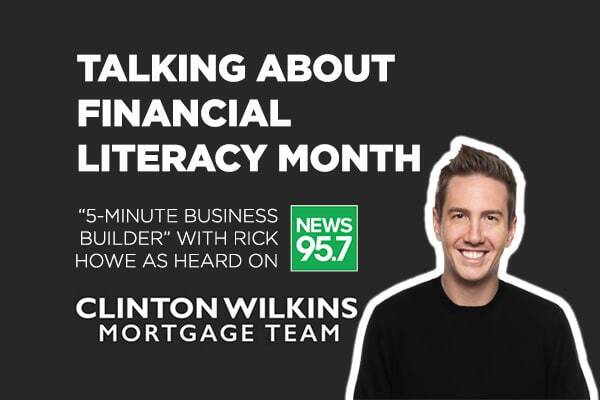 That is senior mortgage advisor Clinton Wilkins with us here this Thursday afternoon. News Release: New Mortgage Rules a Miss? previous post: CTV Morning Live: Merry Debtmas!